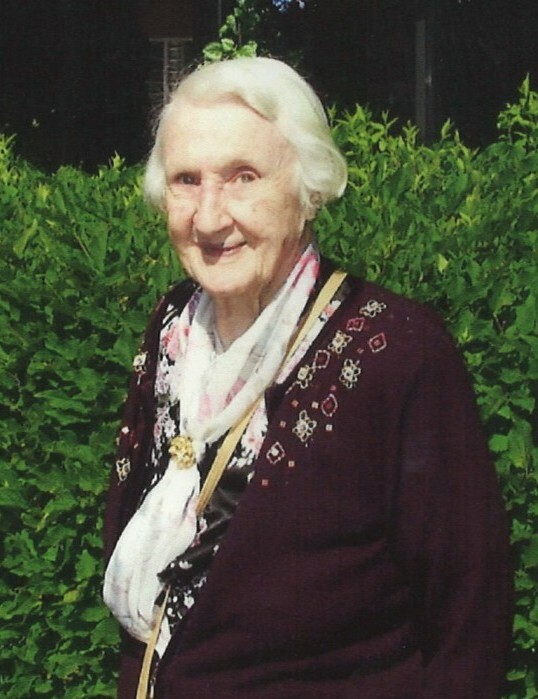 Mary Anderson, born December 4, 1917 in Foremost, AB, passed away on Tuesday, October 30, 2018 at the age of 100 years at the Bethany Care Centre in Calgary, AB. She was a wonderful woman, caring wife, and the best mother her children could have asked for. Mary was predeceased by her husband, Albert Ray Anderson; four brothers, Allen (Violet), Milton (Evelyn), George (Claire), and John (Floss) Robertson; daughter, Flora Bessie May; and grandson, Sean Robert. She leaves behind two sons, Stanley George (Islay) and William Ray (Joan Myrthen); grandchildren, Georgia May Hebert, Brock (Michelle)and Laura (Udo); six great-grandchildren; and one great-great-grandchild. As per Mary’s request, no Memorial Service will be held. In lieu of flowers memorial tributes may be made directly to a charity of your choice.